More often than not, your automatic garage door opener breaks down before you are in need of a replacement garage door. If you have ever had this happen to you, you know that it usually happens when you are late for work or an appointment. Stop stressing, TGS Garages & Doors can help. Our experienced professionals specialize in garage door opener repair. Even if your garage door opener is beyond repair, we can quickly complete a garage door opener installation to get your life back on track. Our installation experts are available 7 days a week to work around your schedule. Your replacement garage door opener is on its way! 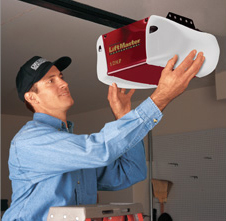 We proudly carry LiftMaster brand residential garage-door openers, featuring the industry’s broadest selection of durable, high-performance openers. These models offer the ultimate in safety and security features and are available with various horsepower levels, drive systems, and lifestyle convenience options. 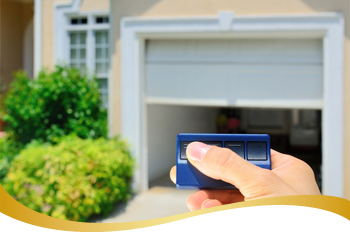 Contact us now to see how you can get a new garage door opener for a great price. These openers—the most commonly used—are extremely reliable. With this system, the door travels up and down its tracking using a metal chain. While slightly cheaper than belt drives, chain drive openers tend to be noisy, so if your garage is located below or adjacent to the main rooms in your home, consider a belt drive. Regarded by industry professionals as the best type of opener, belt drives run almost silently on a steel-reinforced belt. They cost a little more than chain and screw drive openers, but if your garage is attached to bedrooms or other frequently used rooms, this quiet option is worth the investment. The LiftMaster Wall Mount Garage Door Opener mounts on the wall beside the garage door freeing up ceiling space and is available with an optional power standby system that continues working even when the power goes out. Our screw drive openers are specially engineered to run smoothly and quietly, even in extreme temperatures. They perform no matter what climate you live in. Learn the difference between the various garage door openers and compare their features including noise, power, security and technology upgrades like battery back-ups and motion-detecting control panel with timer-to-close. Choose an opener that will last, stand the test of constant use and operate during a power outage. Our experienced garage door consultants will gladly help you make the right choice. Call TGS Garages & Doors today at 1-800-644-5207 for immediate installation! Not sure if your garage door opener needs to be replaced or repaired? Consider the safety sensor. If you currently don’t have a safety sensor, we highly recommend replacing the garage-door opener. Your family, car and valuables are at risk, as the sensors protect what may be underneath the door. TGS also provides time-delay lights for added security. Keep the garage illuminated a little longer to ensure that you and your family are safe and secure inside your home before the lights go out. We offer competitive rates, quick service and extended hours, including evenings and weekends.